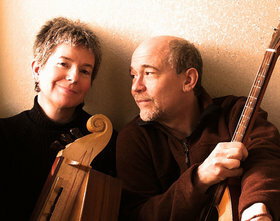 William Pint & Felicia Dale have won an ardent following across the United States and Europe with their 9 full length albums and numerous appearances at festivals and concerts. 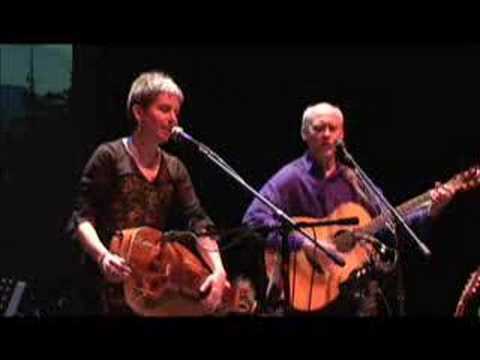 Felicia’s striking vocal harmonies are matched by her creative use of the hurdy-gurdy and Irish pennywhistles, taking these traditional instruments far beyond their usual roles as she blends them into the texture of a song or departs on improvisational romps with equal ease. William Pint’s emotionally expressive singing is complemented by his powerful guitar and mandola work with which he can supply settings of great delicacy or wild, driving rhythms. The duo will be performing in Victoria for the first time and we expect a sold out show, so best to get your tickets early!